The Penumbra System® is a fully-integrated system designed specifically for mechanical thrombectomy by aspiration, first receiving 510(k) clearance by the FDA in December 2007. It is intended for use in the revascularization of patients with acute ischemic stroke secondary to intracranial large vessel occlusions. The Penumbra System includes reperfusion catheters, 3D Revascularization Device™, the Penumbra ENGINE™ aspiration source, and accessories. The latest generation of the Penumbra System features the Penumbra JET™ Reperfusion Catheters, Hi-Flow Aspiration Tubing, and the 3D Revascularization Device. Launched in 2017, the 3D Revascularization Device is designed and optimized for aspiration with Penumbra JET and ACE™ Reperfusion Catheters. Penumbra’s neuro embolization systems are designed to meet the unique challenges of aneurysm coiling, vessel sacrifice, and other neurovascular malformations. The Penumbra SMART COIL® is a 10-system, detachable coil engineered for smooth, controlled coil delivery utilizing the latest innovations in coil design and material science. 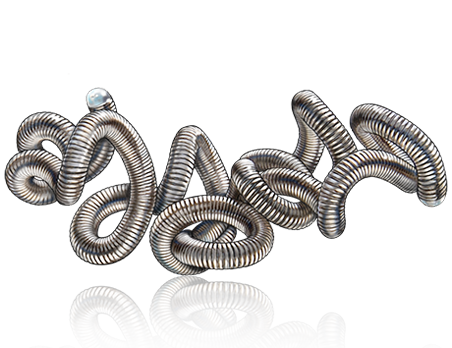 The Penumbra Coil 400™ is a large-volume, detachable coil offering 4 times the volume of a conventional 10-system coil to more efficiently embolize large aneurysms and other complex lesions. Penumbra offers access devices specifically designed to facilitate the treatment of a wide range of conditions, including disorders in the most challenging neurovasculature. Penumbra introduced its first neuro access device in 2007 and has since expanded its intracranial access products to address additional clinical challenges specific to the neurovasculature. Penumbra’s second generation device, Artemis™ Neuro Evacuation Device, is specifically designed for the controlled evacuation of fluids and tissues from the Ventricular System and Cerebrum. Artemis is a minimally invasive surgical tool that utilizes Pump MAX™ for powerful and controlled hematoma evacuation.